His moral guidelines stand the test of time. And times as bad as his own house being dubiously rented, his voluntary eviction as University principal, his sudden daring detour to offer free education intended to the less-privileged - but one that spears to whoever is willing to really study. 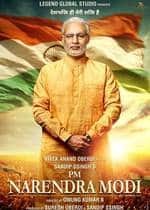 Amitabh Bachchan's Prabhakar Anand in Prakash Jha's new film Aarakshan is not only an impossibly unbelievable man, but the portrayal - no matter how compelling, is boringly preachy as well. 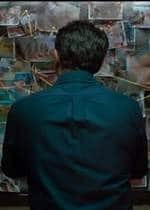 And so is most of the picture, which never really decides where it is headed, and with an initial storm on caste-based reservation, the film totally flounders into an altogether different topic towards its end. Originally advertised as a film speaking on the sensational reservation policy of the country, Aarakshan's main intent comes across as commercialization of education by the mammoth private coaching institutes, run by university professors illegitimately. And later on, it surrenders to become one man's battle to stick to his moralities and still emerge triumphant, even if that comes at the cost of relocating in the milk-man's tabela. As the disciplinarian principal of a premier Bhopal college, Amitabh Bachchan is a diplomatic headmaster, with a soft-corner for the under-privileged. On the contrary is Manoj Bajpaye's Mithilesh Sharma, the newly-elected vice-principal and a man so ethically corrupt, he will not think twice before quashing anything that comes in between his appetite for wealth. When a well-planned strategy lands Prabhakar in a soup, all hell breaks loose and Jha cunningly tangles all possible relationships, humanly conceivable, in a bid to heighten the turbulence. There is conflict, and then there is some more. 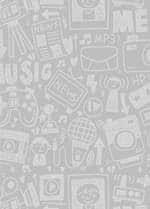 Deepika Padukone breaks-up with Saif Ali Khan because he accused her father (Amitabh Bachchan) of being anti-reservation and disrespected him. Best friends Prateik Babbar and Saif come to blows. And then there is ambiguity, for a while, between the father-daughter too. The trouble is, all of this appears fragmented and look disjointed from one another. At times it seems Jha is miserably trying to weave an emotionally powerful drama in which the reservation angle never quite intersects. It ends up being a family drama, or at its maximum, a very public war between two clashing ideologies. 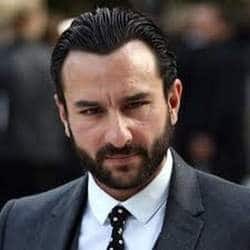 Saif Ali Khan, who robustly supports the film with compelling confrontations is mysteriously exported to America and then re-invited at a very odd hour. His irrationality is best left unexplained. Manoj Bajpayee - my most favorite character of the film, ends up being the archetypal antagonist, his maniacal hysteria explaining his relentless gluttony. Where Jha could have had a single-point agenda, which he does so in the beginning, towards the end, you are watching mostly a different film, called KK Classes VS Tabela Classes. No doubt, that these coaching wars are triggered by the reservation, but sticking to the film's title and reaching a resolution on the same line would have reflected more stability. Some strictly exceptional performances save the film from being avoidable to quite-watchable. Amitabh Bachchan is at a career-re-defying moment with Prabhakar Anand. His evolution on his probable course of redemption might be implausible, to put it mildly, but the dialogue that spurs and the rock-solid structure that says it, is pleasingly admirable for an actor painfully under-utilized in recent times. And equally well tackles Bajpaye - with his career's finest. Armed with grey locks, and a slightly darker shade in persona' he rocks the house with his zaniness. Saif could do so much more only if he wouldnt have been embarrassingly wasted doing antiques out of unreliable impulse. Deepika Padukone, reasonably alright, is seen struggling alongside veterans, as she has quiet a considerable part - inconsequential although, it eventually becomes. To conclude, Aarakshan by any standards is not a bad film. It is just confused, chaotic and unsettled. There are many numbers that dont have a direct relevance, which make the film appear even longer. Where Jha once ably dangled between art-house and commercial, in his early films of Damul, Mrityudand and even the very sensible Gangajal, here he appears to be struggling in bringing together a runaway success. Number of emotional chaos raked up, and a clear diversion from the intended destination, Aarakshan reaches an awkward climax that would want to believe in itself to be revolutionary. It is sadly an assertion that our brilliant Prakash Jha has succumbed, succumbed to the Aarakshan's of film-making that are mandatory fillers to an impending blockbuster.